My name is Emmanuelle Orsi Fisher. I was born in Paris, France. I graduated with a Master of Chemical Engineering from the “École Nationale Supérieure des Industries Chimiques (ENSIC)”, in Nancy, France. The following year, I obtained the “Agrégation” of Sciences Physiques. I taught Physics and Chemistry at a college level for several years in one of the prestigious and highly selective “Classes Préparatoires aux Grandes Écoles”. I met my husband, Jonathan, who is from San Francisco, in the Alps 13 years ago and moved to Miami three years later. 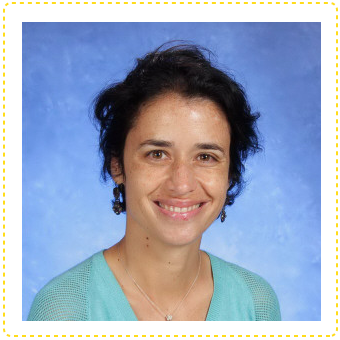 I have been part of the ISCHS family since 2010, teaching Mathematics, Physics, and Chemistry in the French Program and have been the French Program director since 2015.